Description: Liepaja Central Scientific Library (LCSL) is a public library of Liepaja City. It has 5 branches and one of these branches is a library for children. LSL also works as the consultative and methodological development centre for 37 and 2 external customer service centres of public libraries from neighbouring municipalities. In LCSL the Regional Training Centre (RTC) were established with one stationary computer class. Moreover to ensure better accessibility of library education services, one mobile computer class have been created to serve for the customers of neighbouring municipalities. 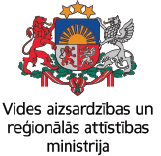 RTC implements different education programmes and other capacity building initiatives for employees of LCSL and other public libraries of neighbouring municipalities within Kurzeme region, employees of museums and local education institutions, pupils of local schools and other visitors of LSL.